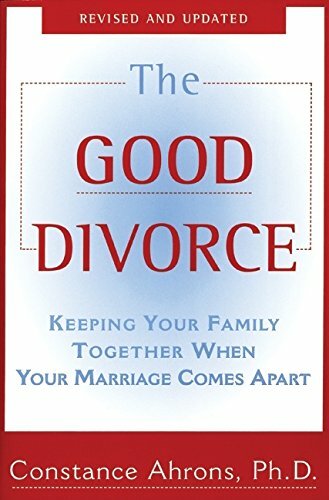 Based on two decades of groundbreaking research, The Good Divorce presents the surprising finding that in more than fifty percent of divorces couples end their marriages, yet preserve their families. 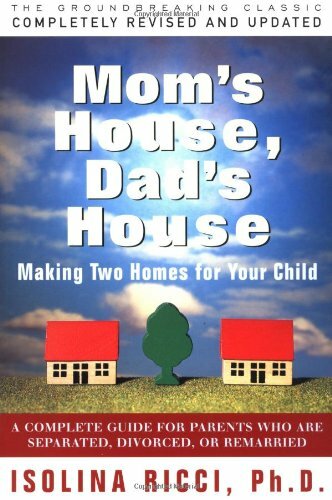 Dr. Ahrons shows couples how they can move beyond the confusing, even terrifying early stages of breakup and learn to deal with the transition from a nuclear to a “binuclear” family–one that spans two households and continues to meet the needs of children. 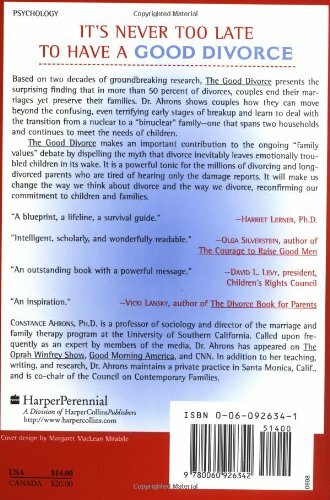 The Good Divorce makes an important contribution to the ongoing “family values” debate by dispelling the myth that divorce inevitability leaves emotionally troubles children in its wake. 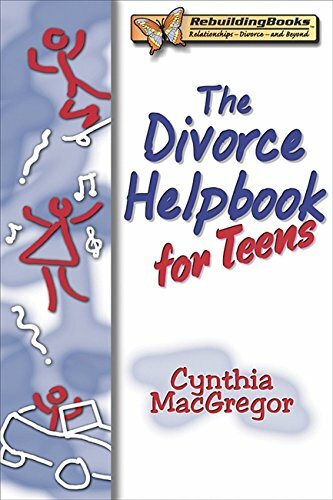 It is a powerful tonic for the millions of divorcing and long-divorces parents who are tired of hearing only the damage reports. 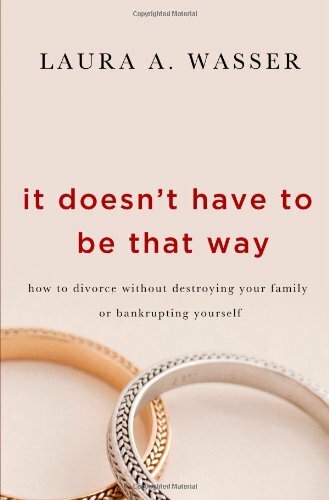 It will make us change the way we think about divorce and the way we divorce, reconfirming our commitment to children and families.